Of all the transformations a classic car can undergo the addition of air conditioning is one of the most significant when it comes to passenger comfort. Riding around in an early truck on a hot day without A/C can feel like you’re in a sauna on wheels. Fortunately for us there are companies like Old Air Products, Southern Air, and Vintage Air that specialize in A/C systems for the haulers close to our hearts. Evaporator With Expansion Valve: the evaporator absorbs heat/humidity and the expansion valve regulates the flow of refrigerant. 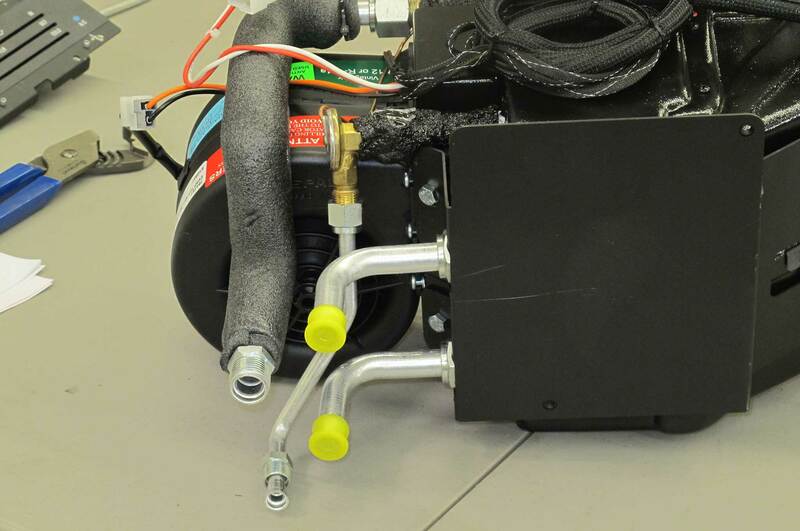 Compressor: pumps refrigerant through system. 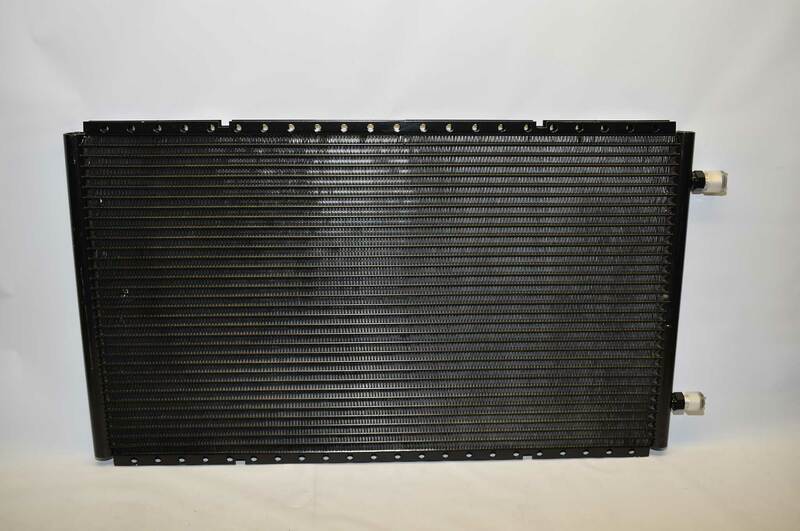 Condenser: cools refrigerant to induce change from gas to liquid. 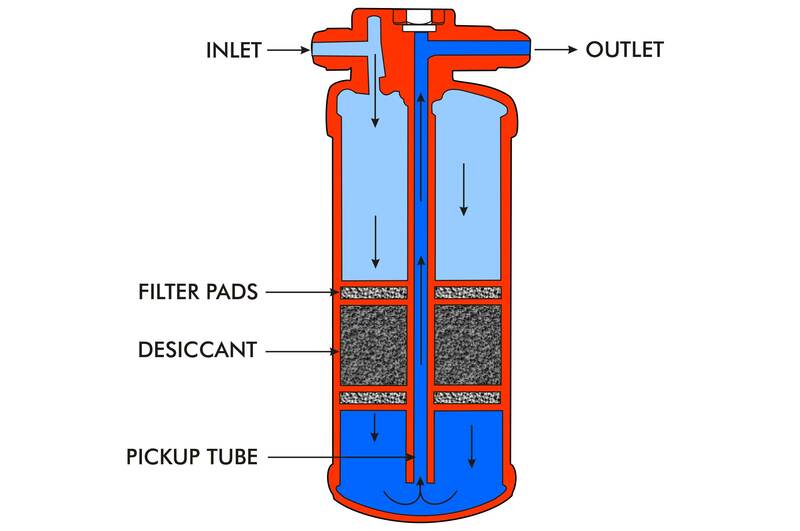 Receiver/Dryer: filters the refrigerant, separates vapor from liquid refrigerant, and removes moisture. 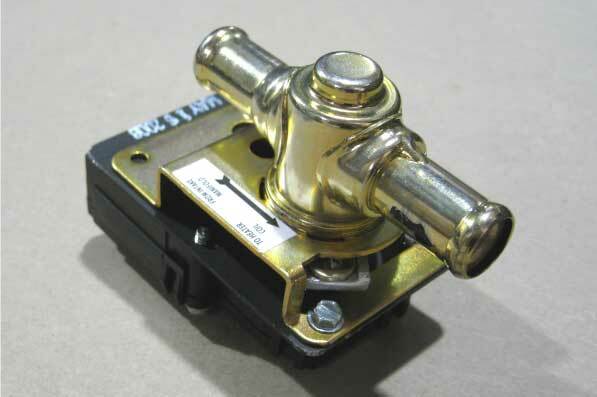 Safety Switches (two types): Binary protects the system from excessively high (406 psi) or low (30 psi) pressure. Trinary, same high and low protection, plus an electric fan engagement signal at 254 psi (on high pressure side). Thermostat: adjusts compressor cycle time (indirect temperature control). When talking to our A/C experts there were a number of general suggestions on proper system installation. Clint Millican from Old Air Products stresses the importance of choosing a system that is large enough and has the capacity to keep the interior of the vehicle comfortable. Choosing a small unit simply because it’s to be completely hidden inside the dash may not be the best choice for a larger size vehicle. Rob Hyson at Southern Air cautions against “reinventing the wheel”—that is to say not using the system as it was designed. A classic case in point is mounting the condenser with the lines oriented incorrectly to make it fit. Love points out the need for proper planning during the building phase of a project. Even if A/C will be added later, make sure there is adequate space for the condenser, an effective fan (mechanical or electric), and a fan shroud. Lack of Insulation/Weatherstripping: An A/C system makes the passenger compartment cold by removing the heat from it. Obviously allowing more heat in makes it that much more difficult for the A/C system to do its job. Excessive heat gain can be prevented by not insulating or sealing the firewall, floor, doors, roof, and all the other sources of heat that enter the passenger compartment—tinted windows will also help. Inadequate Electrical System and Poor Grounds: Many contemporary A/C systems use sophisticated electronics that can malfunction without a stable power source and good grounds that eliminate the possibility of any electrical feedback that may cause erratic operation. Improper Condenser Placement and Lack of Airflow: Mounting the condenser upside down or on its side restricts the flow of refrigerant. When installing a parallel flow condenser, the tanks should be vertical and the tubes horizontal. 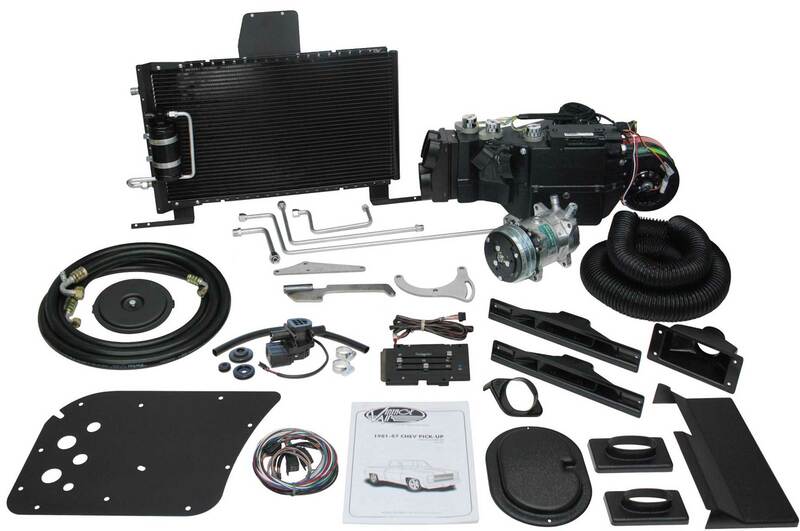 To ensure proper airflow install the most effective fan possible with a shroud and position the condenser 1/2 to 3/4 inch in front of the radiator. Improper Installation of the Receiver/Dryer: The receiver/dryer has an arrow indicating the direction of flow; it must be oriented properly. In addition, it should be mounted where it will be exposed to cool air. 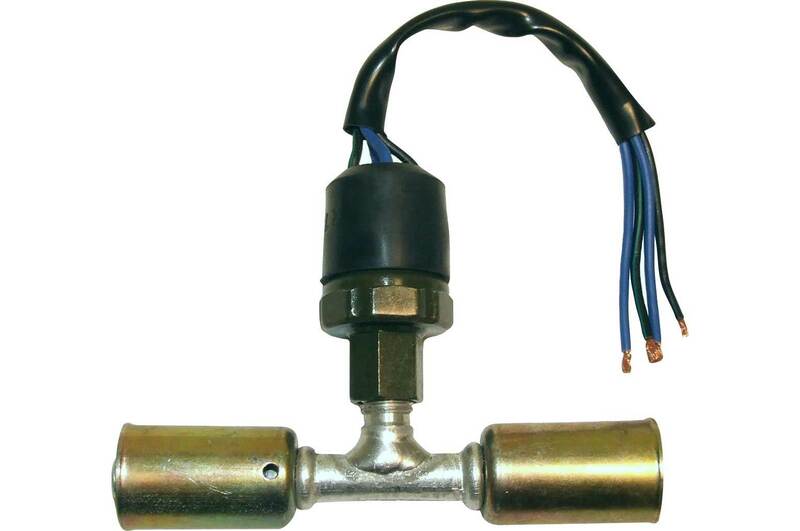 Heater Control Valve: Installing the heater control valve incorrectly allows hot water to circulate through the heater core, warming the air that the A/C is trying to cool. 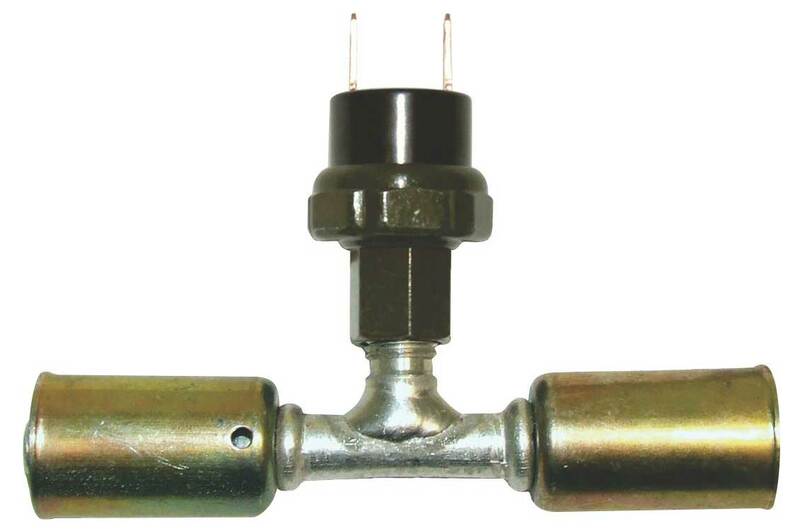 Most heater control valves are directional and must be correctly oriented in the high-pressure heater hose. 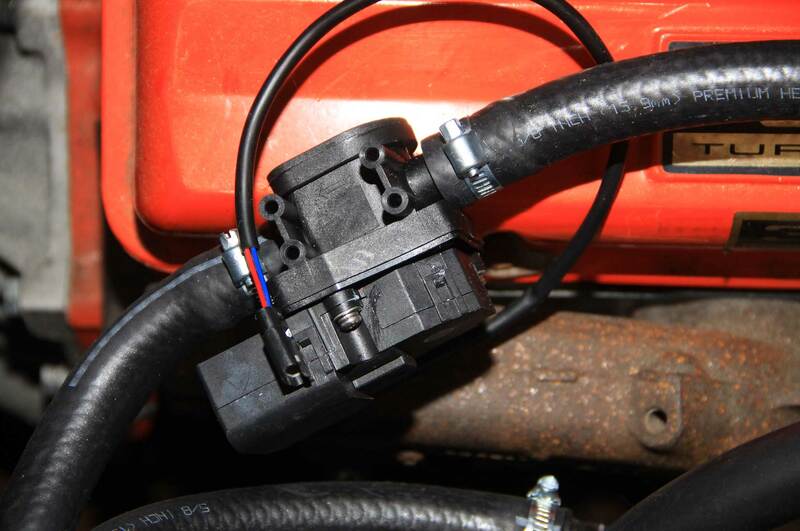 Most water pump heater hose outlets are on the low-pressure (suction) side of the pump. 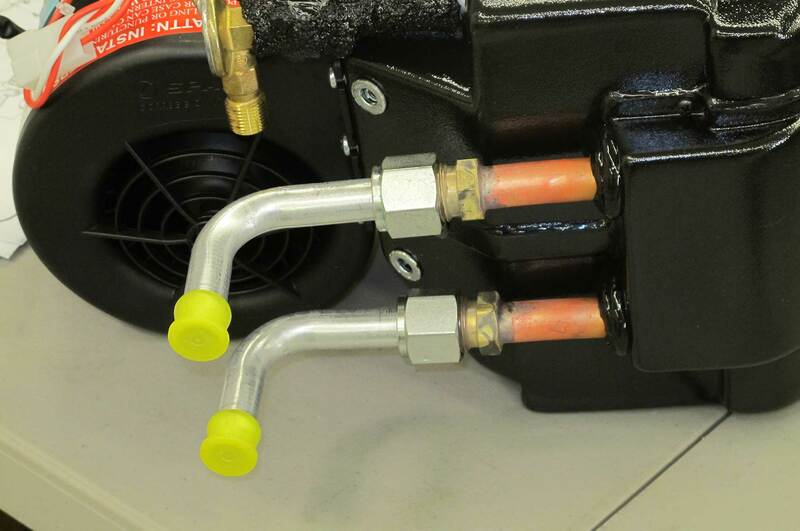 The intake manifold outlet is the high-pressure side of the system. 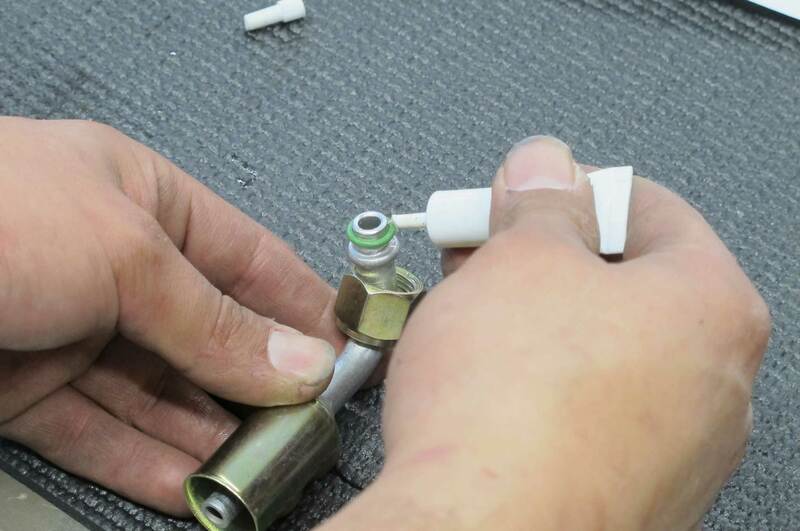 As water pressure in the hose helps the valve seal, if they are installed backward, or in the wrong hose, they will not shut off completely and some hot water will continue to flow. Plugged Outlets: Capping any unused outlets in the evaporator case can cause the evaporator coil to freeze. Unused outlets should be left open; they can have short hoses or special ducts attached that allow them to discharge behind or below the dash. 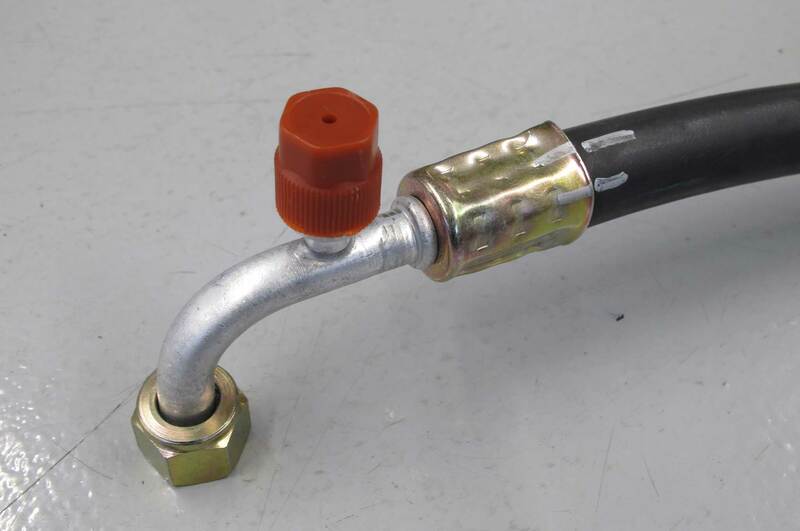 No Compressor Safety Switch: Excessive high side pressure can cause damage to the compressor or rupture a hose. If the refrigerant is lost and the pressure in the system is lost so is the compressor’s lubricant supply, which can cause it to be damaged or to seize. Improper Evacuating and Charging: Leaving air and water in the system will reduce the efficiency of an A/C system dramatically. Evacuating the system with a vacuum pump for 45-60 minutes removes air from the system while the vacuum lowers the boiling point of water, so any moisture in the system boils away. To accurately determine if an A/C system is charged properly dedicated gauges that show low and high side pressures are required. 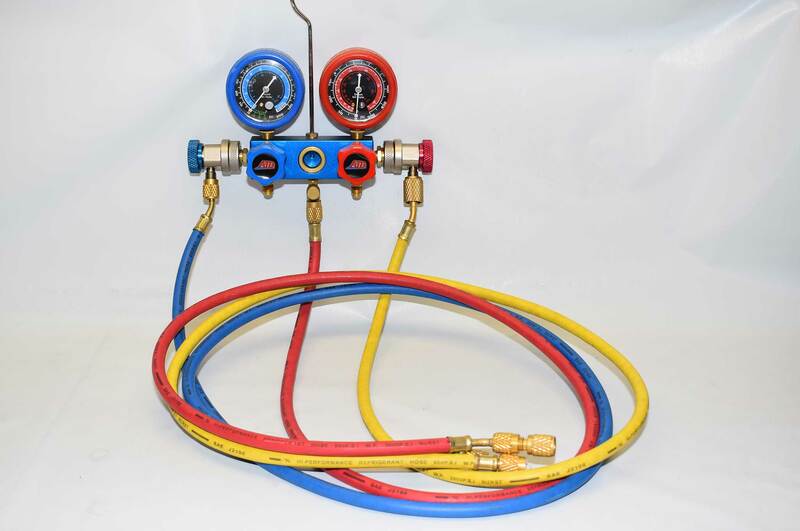 A general rule of thumb is high side pressure is two times ambient temperature plus 15 to 20 percent. An overcharged system (too much refrigerant or oil) results in higher system operating pressures and poor performance. An undercharged system will show lower operating pressures and poor performance as well. Mismatched Components: Buying components individually can create problems as mismatched condensers and evaporators are often a problem. Another issue is the use of old-style condensers with tube and fin construction, as they are not efficient when using 134A refrigerant. 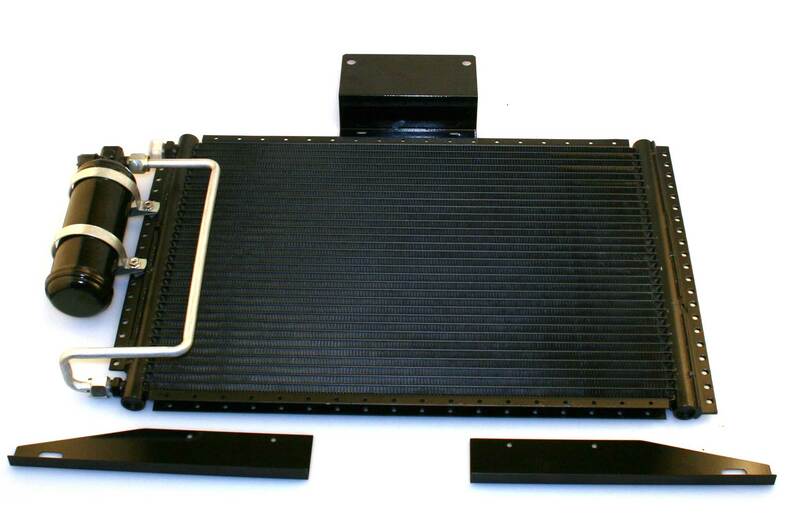 The best choice is an aluminum parallel flow condenser as it provides increased surface area in the same package size. Not Following Instructions: These manufacturers go to great lengths to provide installation instructions for their products, so believe them rather than your buddies who insist they know more about how to do it. Before you begin installation of any A/C system, read all the instructions, warnings, labels, and any other printed material included; they are all there for a reason. Then, familiarize yourself with all the components before your start. And if you still have questions, get them answered before proceeding. The manufacturer’s tech guys would rather prevent a problem than cure one. 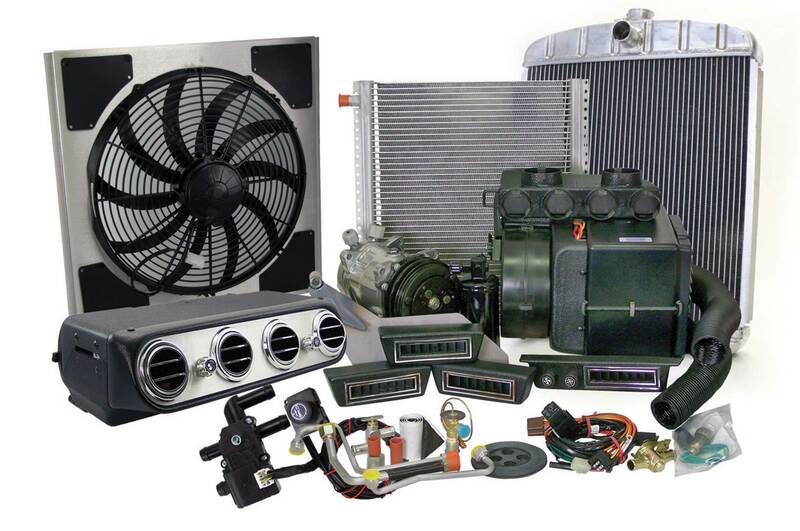 Old Air Products, Southern Air, and Vintage Air all offer A/C systems suitable for classic trucks. They may be universal or make/model specific. Simply put, if you don’t keep the hot air out of the vehicle, no A/C system will ever be able to cool off your vehicle. It’s like running the A/C system in your home with the windows open. Insulation and weatherstripping is essential. Modern compressors are smooth and reliable, however, they do require sturdy mounting brackets. The clutch (mounted to the front of the pulley) spins the compressor when the A/C system is on and freewheels when the system is off. 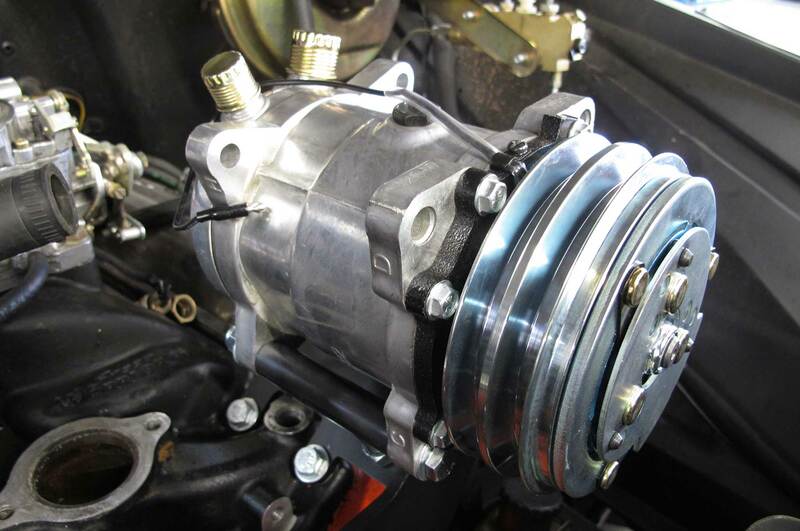 A/C compressors come filled with the proper amount of oil, adding more will create excessive high-side pressure, which will degrade performance and often causes the binary switch to cause the compressor clutch to cycle on and off. 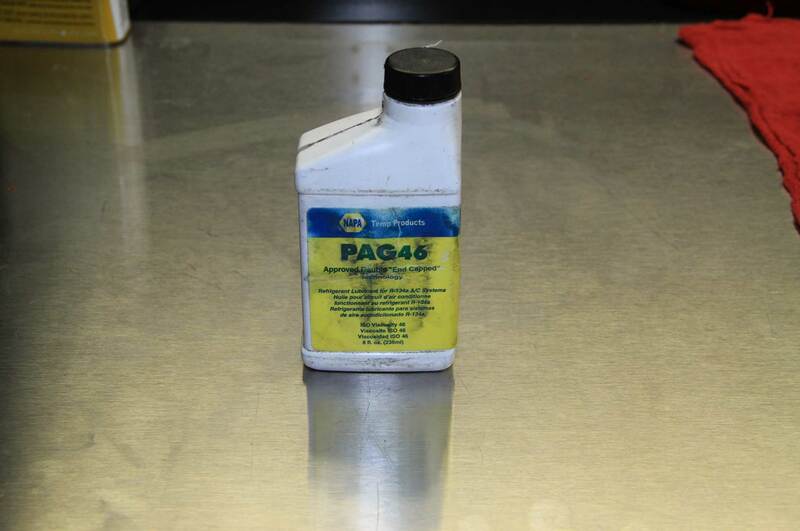 If and when compressor oil is required, Polyalkylene Glycol (PAG) oil is used in R-134a systems. 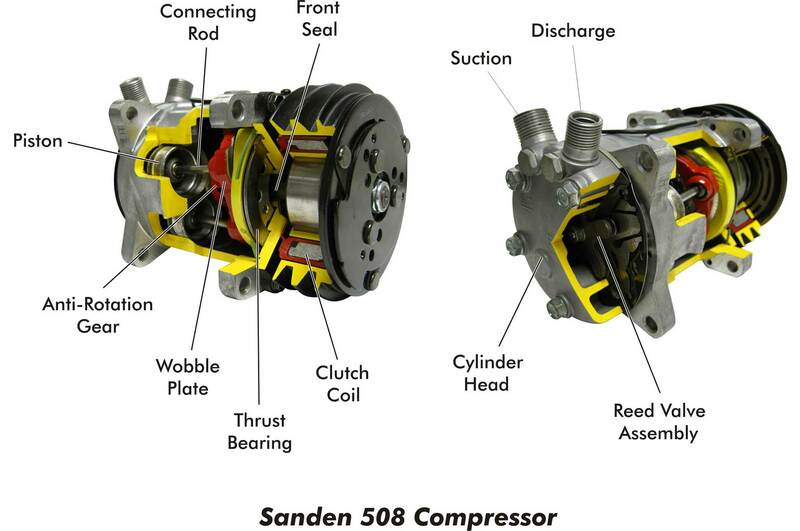 The number 46 refers to the viscosity (check label on the compressor or the installation instructions to determine the viscosity requirements). Sophisticated, electronically controlled A/C units require a stable electrical source. 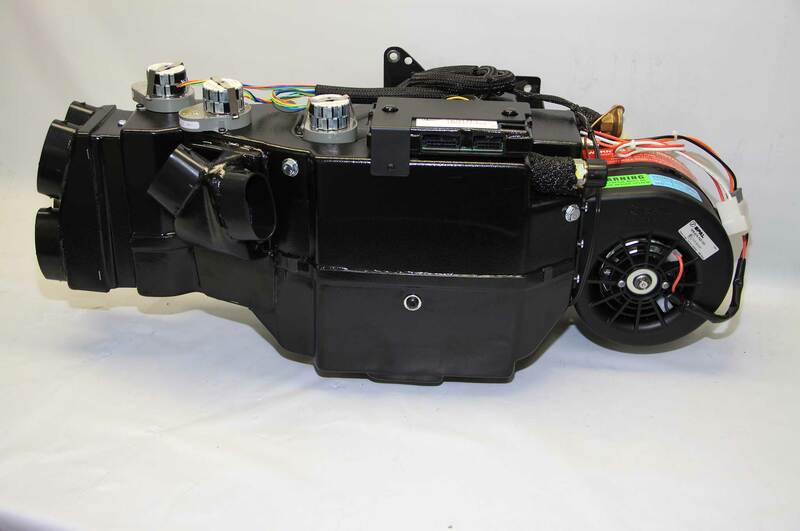 In addition, the engine, chassis, body, and battery should have adequate ground cables and ensure the alternator is able to provide enough power to operate the A/C system and electric fans if added. Evaporators can be easily damaged by improperly tightening the fittings. Always use two wrenches to prevent twisting the copper tubing attached to the A/C coil and heater core. 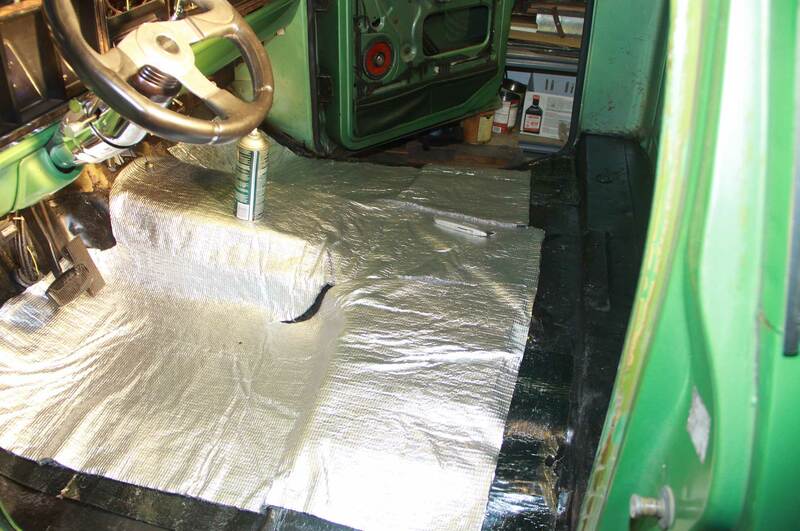 To prevent “sweating” the liquid line should be wrapped with insulation. 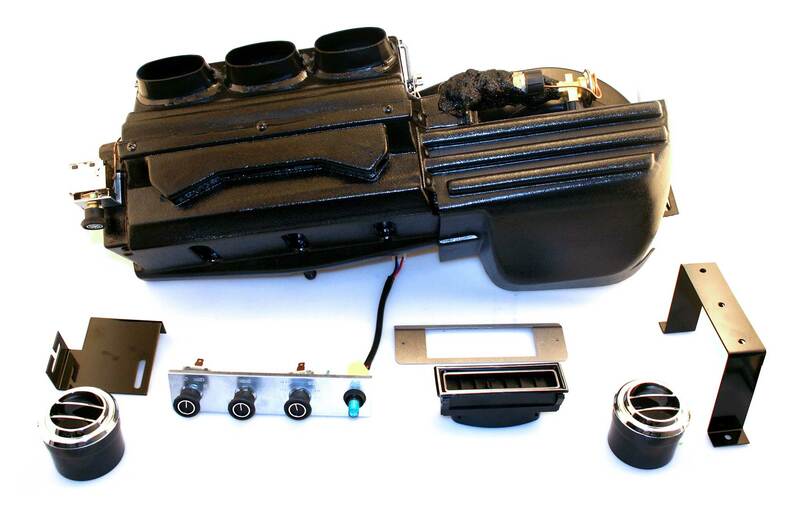 In addition, a 50/50 antifreeze mixture should be used to keep the heater core from freezing when A/C is operating. When installing the condenser it is critical that the refrigerant pumped from the compressor (the larger #8 fitting) be on top, and the liquid line (smaller #6 fitting) on the bottom. At the top of the receiver/dryer is a sight glass; with R-12 it was used to check for bubble in the refrigerants that indicated the state of charge. With R-134a the bubble are simply oil droplets. In some cases the receiver/dryer is attached directly to the evaporator. Note the hard line connection. 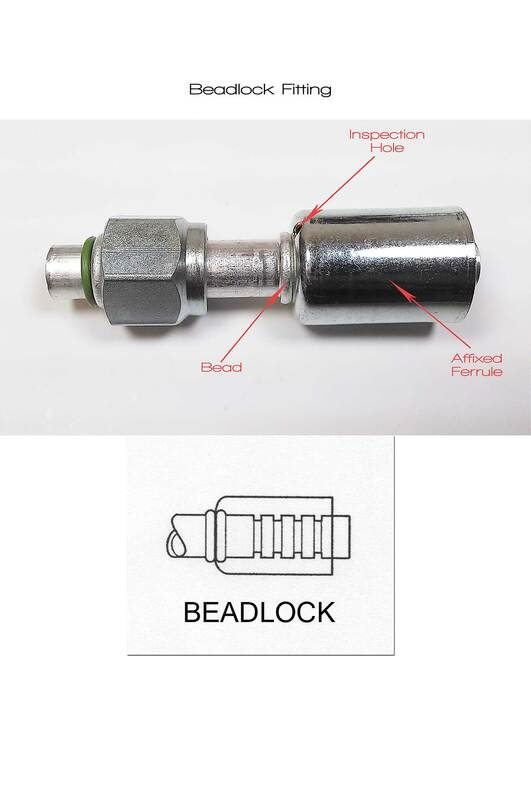 Beadlock fittings are commonly used on A/C hoses. They must be properly crimped to avoid leaks. 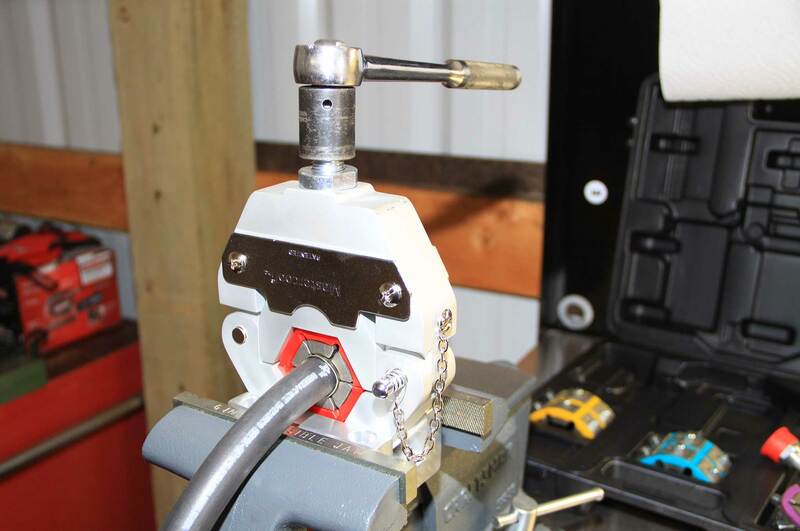 Hydraulic and manual crimping tools are available; this is the latter. 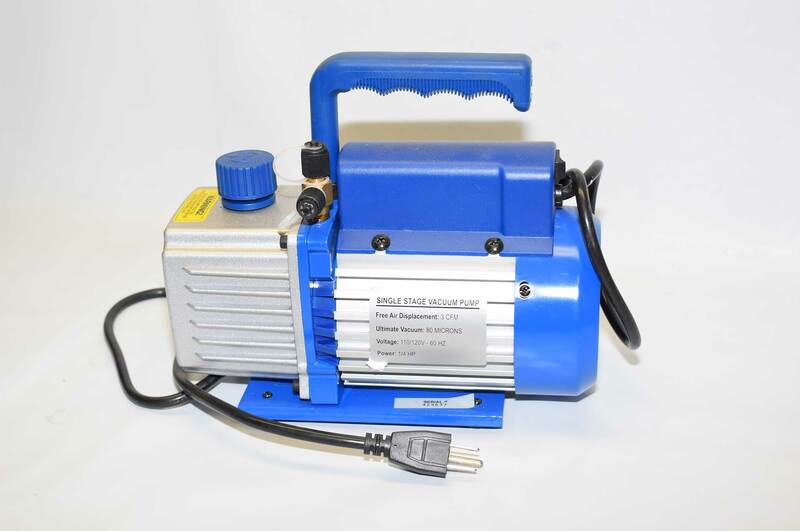 Both come with changeable dies to accommodate the common hose diameters. This is a properly crimped fitting. Note the small hole in the end (arrow) the hose should be visible to indicate it’s been inserted all the way into the fitting. Service ports for evacuating and charging the system must be installed on the high and low sides of the system. They should be located to be easily accessible. O-rings are used at all the connection points. The green color indicates they are compatible with R-134a. 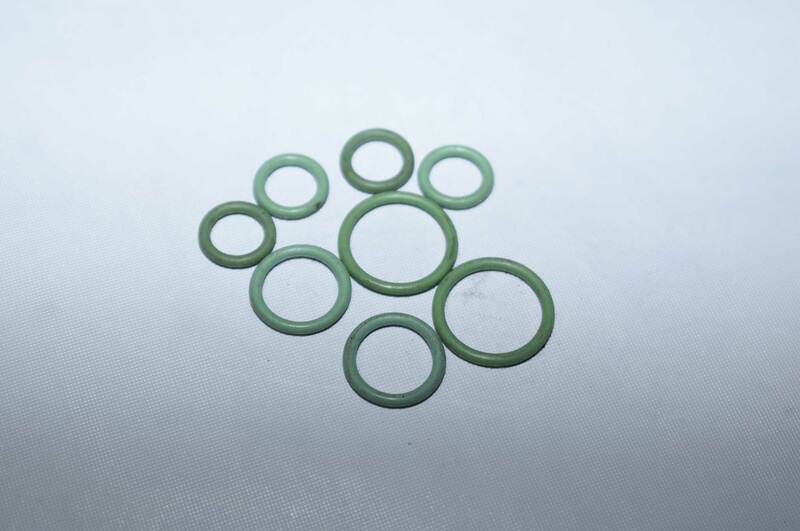 Before installation the O-rings should be lubricated with PAG oil. 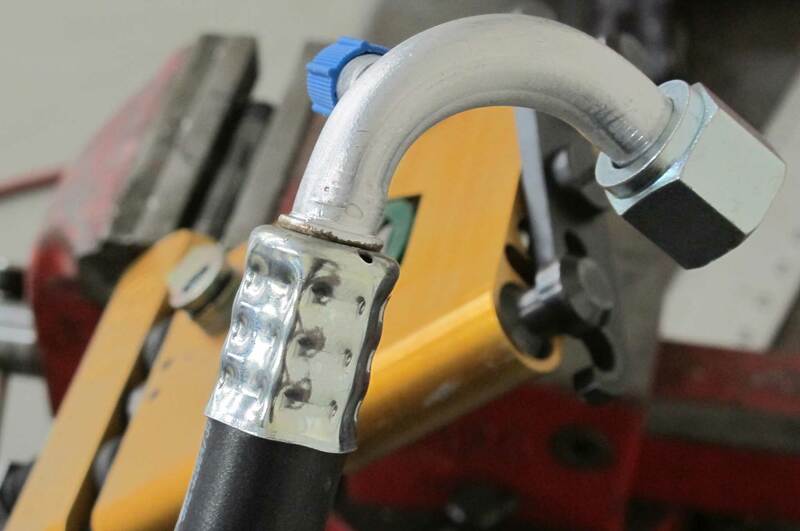 Fittings should not be overtightened to prevent damage; let the O-rings make the seal. A safety switch should always be part of the system. A binary switch can be identified by having two wires. Electronic heater valves are directional and must be oriented properly to keep from “blowing open” under pressure when they should be off. Heater valves should also be installed in the pressure line coming from the engine (at the manifold, not the water pump). This is a vacuum pump used to evacuate an A/C system before it is charged. Holding a vacuum during the process indicates there are no leaks. When testing the gauges are connected to the high and low charging ports, the blower fan is turned on medium and all the vehicle’s doors and windows should be closed. With a shop fan in front of the radiator allow the pressures to stabilize for 5-10 minutes then compare to published specs (A/C outlet temp should be 36 to 46 degrees).